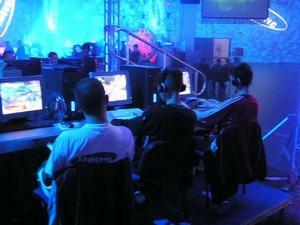 Do you love massively multiplayer online role-playing games? The best MMORPGs have devoted subscribers who keep coming back to lose themselves in the thrill of the game while challenging themselves mentally. Which ones do you think are the best? Approximately 6 million people can't be wrong about what is the best... This game has more subscribers than any other MMORPG -- Ever! And, now Blizzard is releasing a WoW expansion pack: Burning Crusade! One of the first MMORPGs to really grab a subscriber base, Everquest definitely deserves a spot in our best online games list! Most of the game magazines agree: patient capitalist gamers LOVE Eve Online! The wizard Asheron needs help to combat the monsters overrunning the land... Published by Microsoft. This classic MMORPG is a high rated best-seller! This online game has withstood the test of time and has excellent play... Need a little help with City of Heroes? Check out the best cheat codes for City of Heroes!